Just a geeky way to open, nothing more than that! Obviously you can easily open using your mouse! 2. Hit enter (or click ok). User named folder will open. So, no clicks at all. This Article Has Been Shared 302 Times! Burning an ISO image on a DVD is simple, but creating a bootable USB from a DVD installation can be complicated, Microsoft has launched its own utility software to create an USB bootable pen drive. This a small tutorial on how to use it. The easiest way to boot in to safe mode is pressing the F8 button before Windows 7 starts to boot.But it may not always work or you may need enable or disable advanced settings for the Safe mode. After following this tutorial, you will be able to change the default yellow colored folders that appears in left side of explorer pane in Windows 7. You can use a rack like Apple iPad’s bookshelf to organize the shortcut icons, files and folders on your Windows 7 desktop too. Add services.msc in right click context menu in Windows 7 with icon and position of your choice. 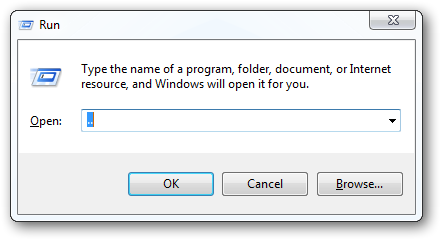 Cite this article as: Abhishek Ghosh, "Folder shorcuts," in The Customize Windows, October 18, 2010, April 24, 2019, https://thecustomizewindows.com/2010/10/folder-shorcuts/.